From the film Joyful Noise, two young performers (Keke Palmer and Jeremy Jordan) give their all to sing Gods praise and win a national choir competition despite overwhelming odds. 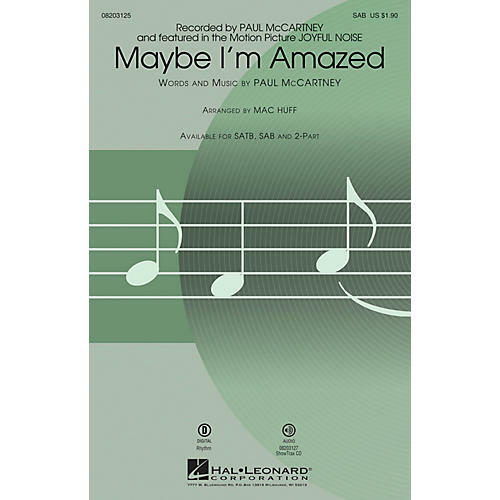 In this arrangement, Paul McCartneys classic song has a freshness that will enchant choirs and listeners alike! Available separately: SATB, SAB, 2-Part and ShowTrax CD. Rhythm parts available as a digital download (syn, gtr, b, drum). Duration: ca 3:15.